At A1 Intraday Tips, we provide Reliable Bank Nifty Calls 2-3 times within a week. Bank nifty is too volatile stock but our accuracy is more than 90%. Get free trial of Intraday Bank nifty Tips. Bank Nifty in the Barometer of Nse Banking Sector. This is like a mirror of Indian Banking Sector. We have expertise for providing Bank Nifty Tips.. You can trade in "Bank Nifty" only & only in Nse nifty futures, The lot size of Nse and Bank Nifty lot size is 25. Whenever you trade in Bank Nifty You have trade in multiplication of 25. Bank Nifty is the most Volatile Stock in NSE F&O segment; sometimes it goes 50 to 100 points up and down within a fraction of time when RBI announces the policy. But A1 Intraday Tips provides Bank Nifty calls with more than 90% accuracy. Before trading in Bank Nifty tips, intraday traders should decide his Loss capacity per trade. Don't trade beyond your capacity or risk because all brokerage Companies & brokers are always provide more Intraday exposure for Intraday Trading in Bank Nifty Tips to earn more brokerage. If you will trade without stop loss you will lose your all capital in few moments, put the proper stop loss in system. In any circumstances stop loss triggers in our Bank nifty tips, don't wait and exit immediately from the trade. Please don't average to make small loss by buying more/ selling more. 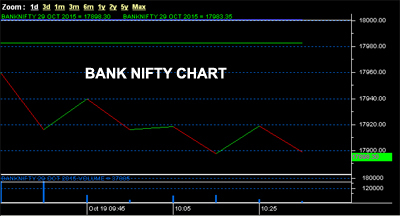 If you will make and average in bank nifty Intraday Trading you will loss the all capital end of the day. Contact us for Best Bank Nifty Calls in Share Market.